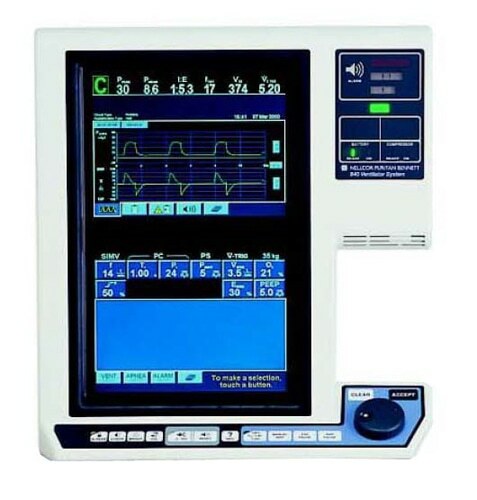 This cost-effective, highly efficient ventilator is designed to help clinicians improve ventilation outcomes and quality of care for patients, and can be customized with advanced technology focused on supporting patient-ventilator synchrony. Clinically exceptional technology helps keep patients and clinicians safe. Upgradeable pathway protects capital investment and focuses on service, support and education. A unique expiratory heating process shields patients and clinicians from exposure to viruses and bacteria from exhaled gases.